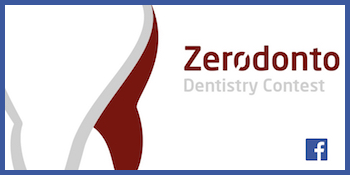 In recent years, the increase in the number of adults seeking orthodontic treatment has led to the development of ever more cosmetic therapies. Ceramic brackets, arches and cosmetic appliances are becoming more frequently employed in orthodontic treatment procedures. 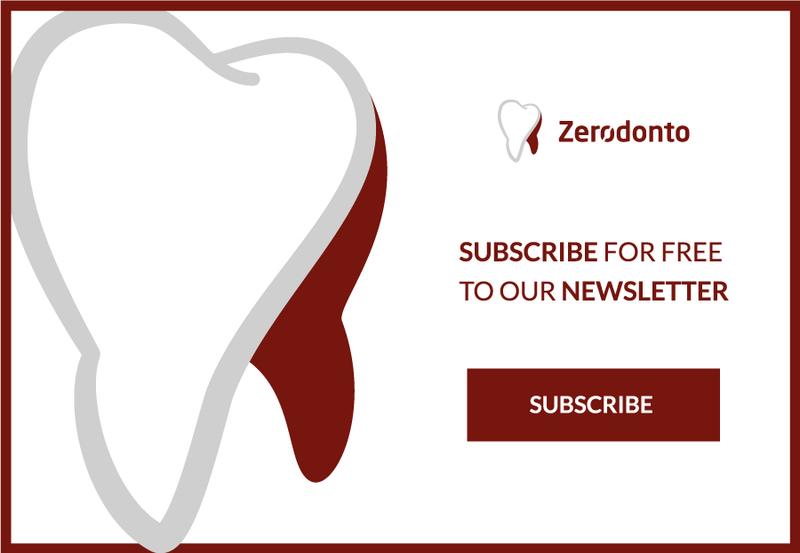 Nowadays, there are techniques to bring the tooth elements into proper alignment through the use of transparent masks, but this technique can be employed only in a limited number of malocclusions. 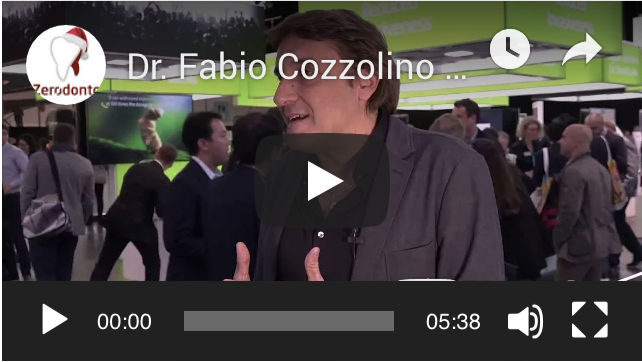 All the devices listed help orthodontics to become less invisible and, therefore, more attractive but none of them are able to hide the therapy completely. 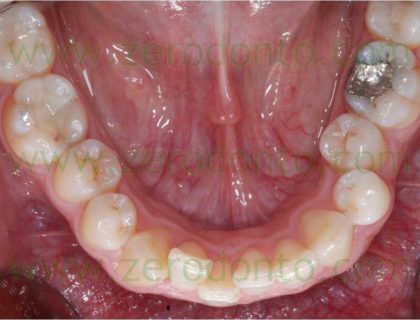 The use of invisible lingual brackets is instead an entirely invisible technique, but not without causing discomfort to the patient. This irritation is due to both alterations in the phonetics as well as decubitus of the brackets on the tongue. 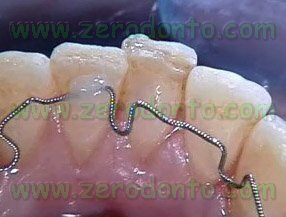 In my clinical work, I use lingual orthodontics without brackets through the use of super elastic threads directly bonded on the teeth. This technique, created by Professor Aldo Macchi, is considered very comfortable by patients, it does not cause any problems related to phonetics and irritation from direct contact with the tongue is rare. 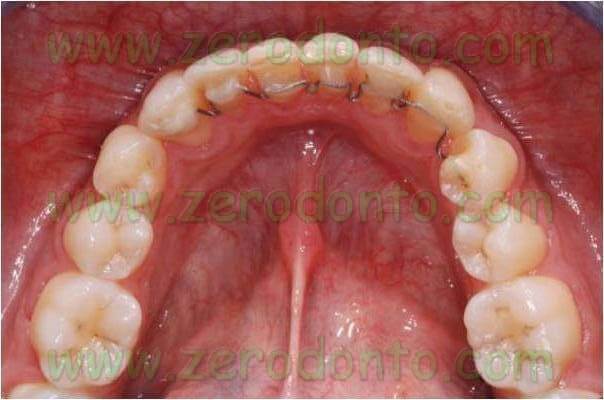 This therapy resulted in increased comfort for relapse patients who had previously undergone treatment with lingual brackets. In the following years other authors followed and improved such tecnique. 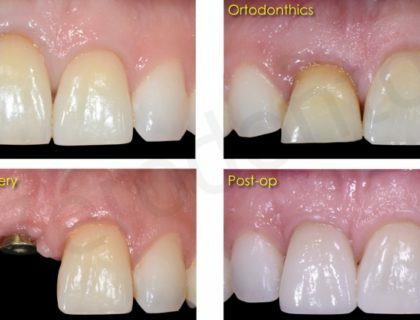 The patient we go on to discuss is extremely motivated to bring the dental elements into a proper alignment but done through a cosmetic orthodontic treatment. At the first stage, dental alignment was undertaken through the use of transparent masks. This because the patient requested to minimise visits owing to work and study commitments, and this technique allows briefer appointments and less frequent sessions. On the plaster models, the set up of the dental movements was made and the masks were thermoshaped. The masks must be changed by the patient every two weeks. But after a few weeks the patient asked to replace these masks with a lingual therapy without brackets, as he wished to be treated with an invisible treatment without needing to remove the mask during meals and brushing. 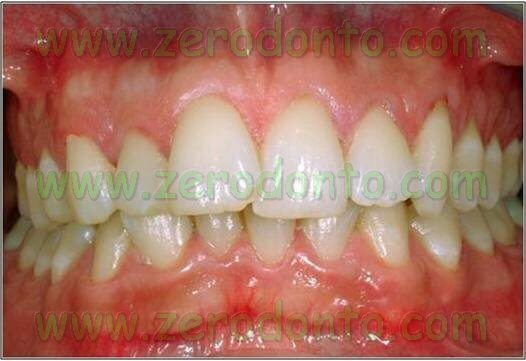 Therefore an active retainer was applied on both canine tooth arches. A 0.0175 inch thick wire as the was used as passive retainer. The wire was been moulded in a way so that it fit passively on the lingual surface of the superior arch from a canine tooth to the other canine tooth. A U-shaped handle has been moulded between the two centrals. The wire was shaped in such a way to fit on lingual surface of the lower arch from a canine tooth to the other canine tooth. Some U-shaped handles were made between tooth elements 42 and 43, 41 and 31, 32 and 33. These handles allow to activate the expansion of the teeth and to achieve vestibular/lingual alignments. 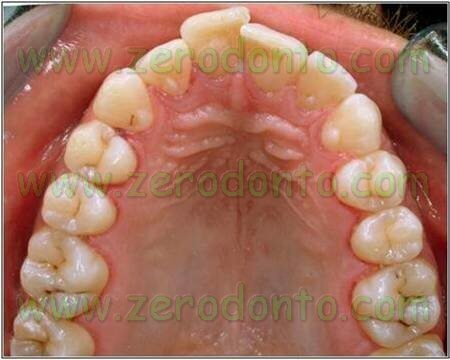 Also an offset was moulded distally to 41 and mesially to 32 in order to rotate the teeth. 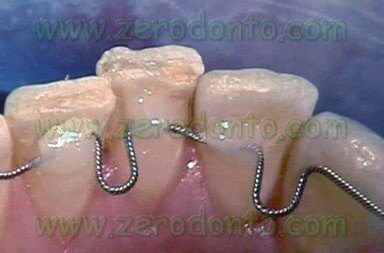 The upper retainer was activated by opening the central handle by 1.5 mm. With two pincers the part of the wire to bond to the middle of the right incisor was lingually bent and, vestibularly bent to bond to the middle of the left incisor. These activations allow the correct V-L positioning of the central incisors as space is gradually created. 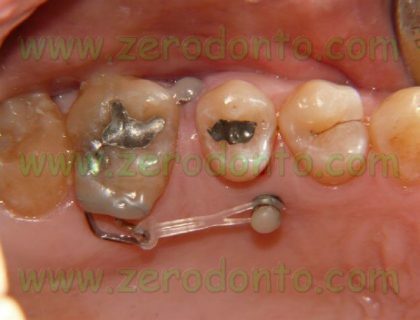 The lower retainer was activated with a V-shaped bend in 41 and 42 and another V-shaped bend in 32 and 33. These V-shaped bends allow to move buccaly the elements 41 and 42. Successively, using two pincers the segment to be bonded on teeth 41 and 42 was bent toward the vestibule and the segment to be bonded on 31 toward the tongue. 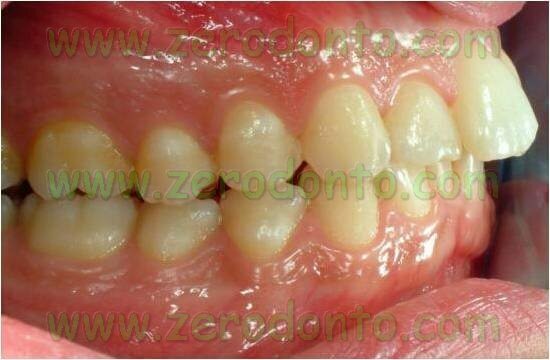 This latter activation increases the strength which lingually moves the 31 and expands the right incisors. The lingual surfaces were cleaned and etched for 30 seconds. Adhesive was then applied and polymerized. 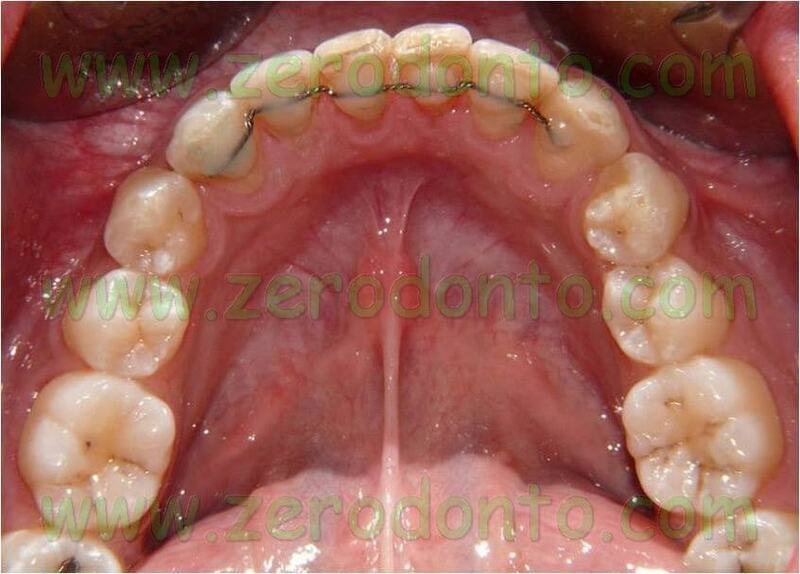 Initially the retainer was bonded on teeth 21, 22, 23 of the upper arch. 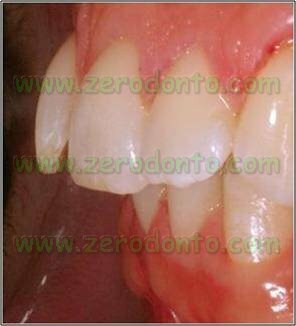 Subsequently the handle between the two central incisors was closed up by 1.5 mm and the retainer bonded on teeth 11, 12 and 13. 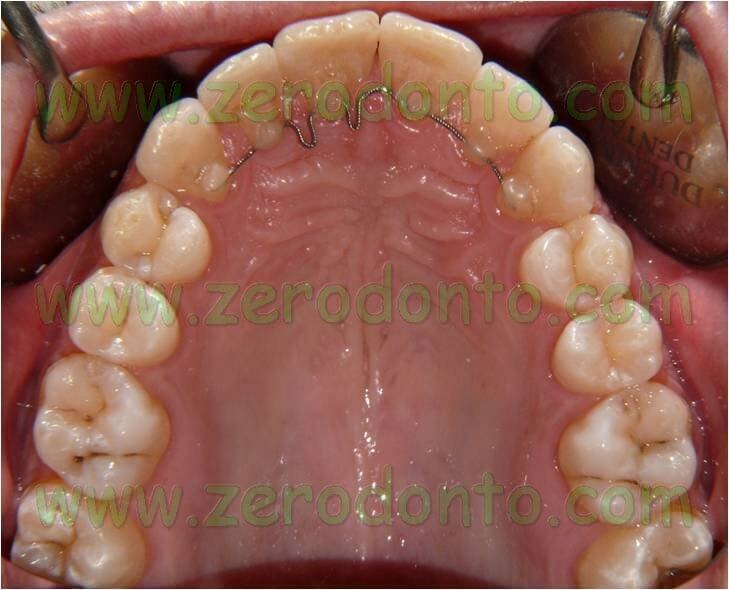 The retainer was first bonded on 41 of the upper arch. Then, the handle between 41 and 31 was closed up by 1.5mm and the retainer bonded on 32. 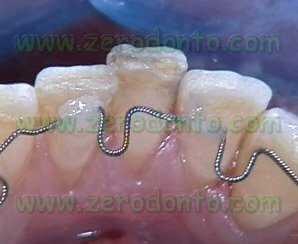 The part of retainer to be bonded on 31 was now more lingually oriented with respect to the tooth, thanks to the activations previously done. With the use of a utility tool it was positioned on 31 and then bonded. 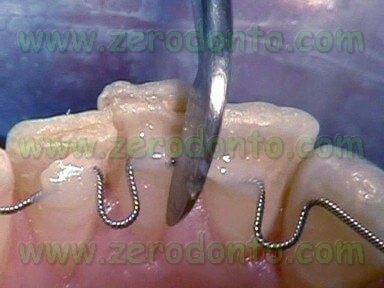 The spring back of the wire pushes the tooth lingually as soon as the handles create space. 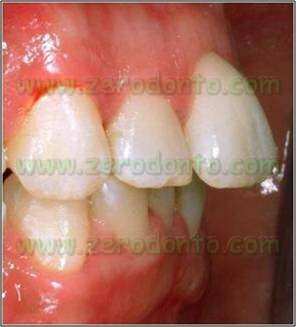 The handle between 43 and 42 was then closed up by 1.5 mm and the wire was first bonded on the canine tooth and then on the lateral incisor. Once the handle gradually created space, the previously moulded offset denotes the 42. The handle between 33 and 32 was also closed up by 1.5 mm and the retainer bonded on 33. Also here, once the handle expanded, a rotation of 32 was achieved thanks to the offset mesially moulded to the tooth. The patient was checked every 3-4 weeks. 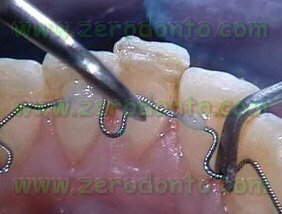 Each time the wire was detached in the part to be activated, removing the composite with a cutter, and then it was activated either by opening the handles or adding some V-shaped bends. 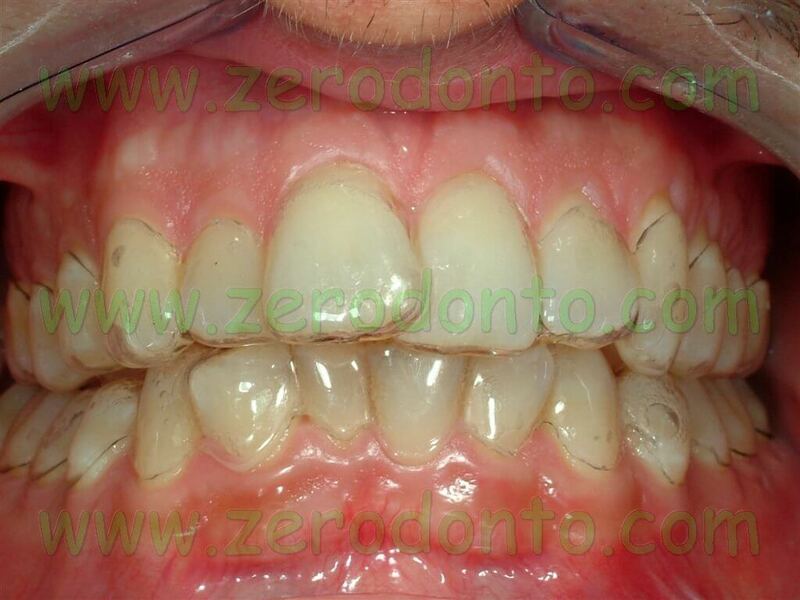 After one month, a new upper retainer was moulded to correct a small vertical displacement of the incisors. Besides the U-shaped handle between the incisors, another handle- distal to the right central incisor- was added. 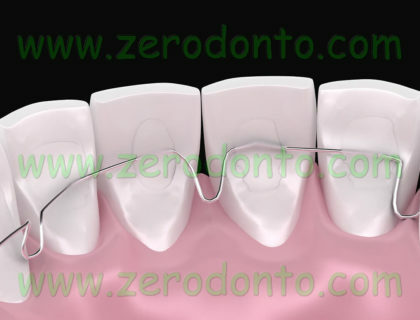 During the bonding procedure, the retainer was bonded on 11. 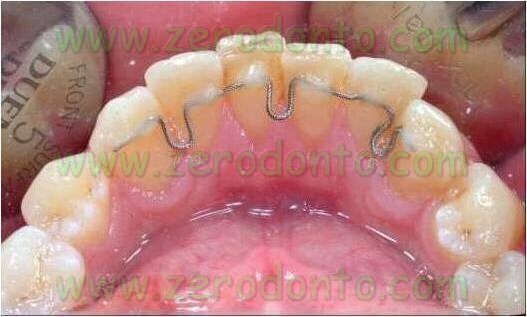 The spring back of the wire thread created the intrusion of the right central incisor. The upper alignment was achieved after roughly 2 months, the lower alignment in 6 months. 2. Macchi A, Rania S, Cirulli . “Una proposta per la gestione di disallineamenti anteriori: il mantenitore attivo di contenzione (MAC)”. Mondo Ortodontico, 1999. 3. Liou EJW, Chen LIJ, Huang CS. 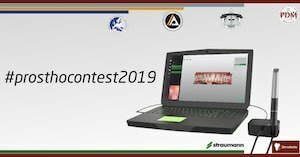 “Nickel-titanium mandibular bonded lingual 3-3 retainer: for permanent retention and solving relapse of mandibular anterior crowding”. Am J Orthod Dentofacial Orthop 119:443-9, 2001.